A haze of gloom and fuzzy feedback emanates from stacks of amplifiers. The buzzing drone builds into a wall of slow, churning riffs that rise and swell, inspiring a feeling of ominous dread that wells up inside of you -— the sound of doom metal. Like so much of modern metal music, the doom sub-genre was born out of the groundwork laid by Black Sabbath. 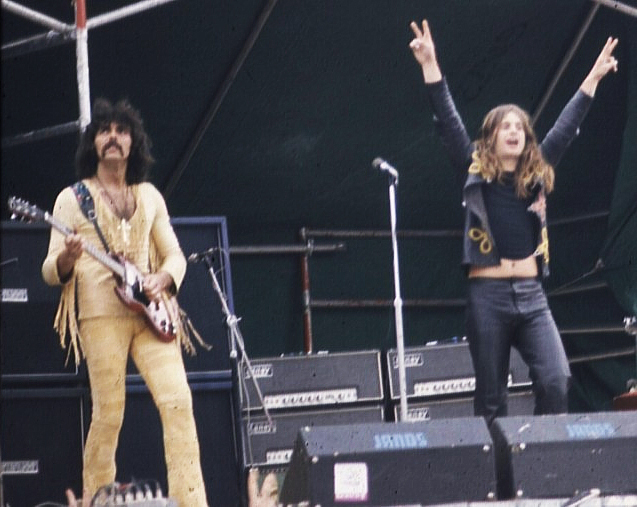 From the beginning, Sabbath’s music was shaped by their bleak environment, the city of Birmingham, a gloomy industrial English town. That atmosphere imparted a bleak, dismal and dark element to their music that was smoldering ember that slowly sparked into life doom metal. Tony Iommi and Ozzy Osborne of Black Sabbath. The first song attributed the doom metal moniker is “Black Sabbath” off the album of the same name (not their most creative effort in that regard). Starting with the ringing of echoing church bells, the song opens up into a ominous, lurching riff that at its heart is based around a diminished fifth/augmented forth, which is referred to as the Diabolus in Musica (the Devil in music) and was often banned for its satanic connotation. It is now an element commonly used by doom metal musicians. From there, bands like Pentagram, Trouble, St. Vitus and Candlemass carried the genre through the ’80s and ’90s and helped develop it further. 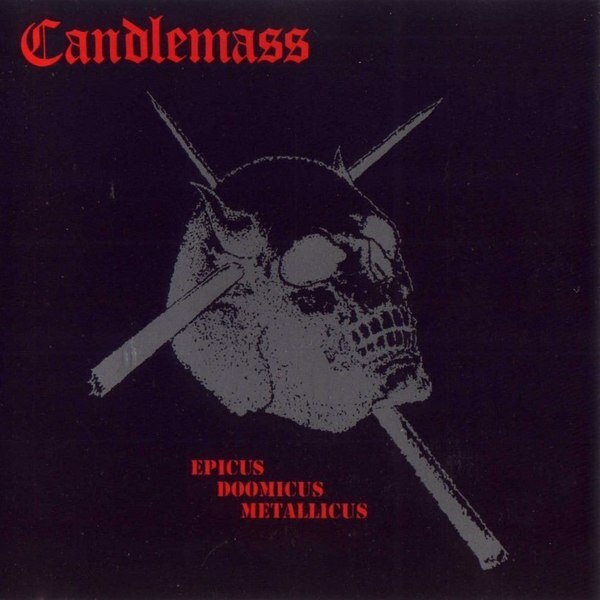 Though it’s often debated, Candlemass’ 1986 album Epicus Doomicus Metallicus is regarded as coining the genre’s name. Today, doom metal has sprouted off into many branches; from the spacey drone metal of bands like Earth and Sunn O))), to the psychedelic stoner metal of Sleep, Electric Wizard and Kyuss, all the way to the swampy southern-rock driven sounds of sludge metal acts like Weedeater, Down, and Crowbar, one element remains the same: keeping it slow and heavy. 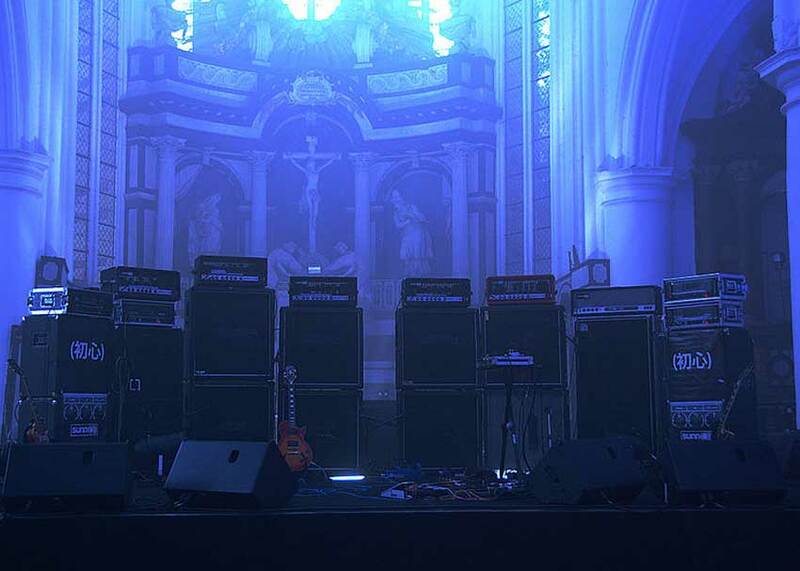 To do that, there are certain pieces of gear that have become almost standard-issue for doom metal players. We’ll take a look at those, as well as few easier, more accessible options in the pages to come, or you can click a button below to jump right to that section.